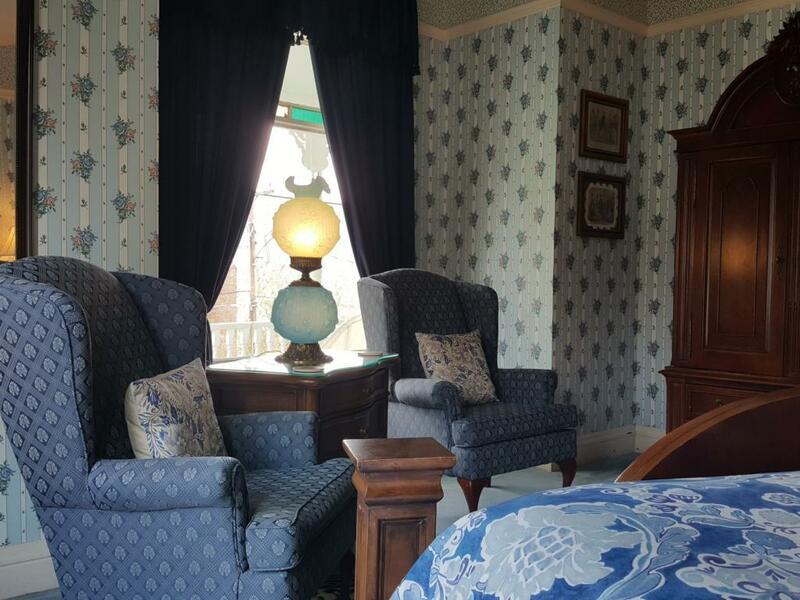 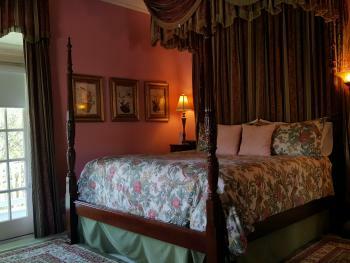 This lovely spacious room has a wonderful queen size four poster bed. 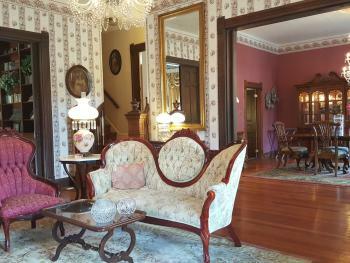 The room is decorated with a Victorian theme. Large private bath with etched French doors, two-person Jacuzzi tub and shower. 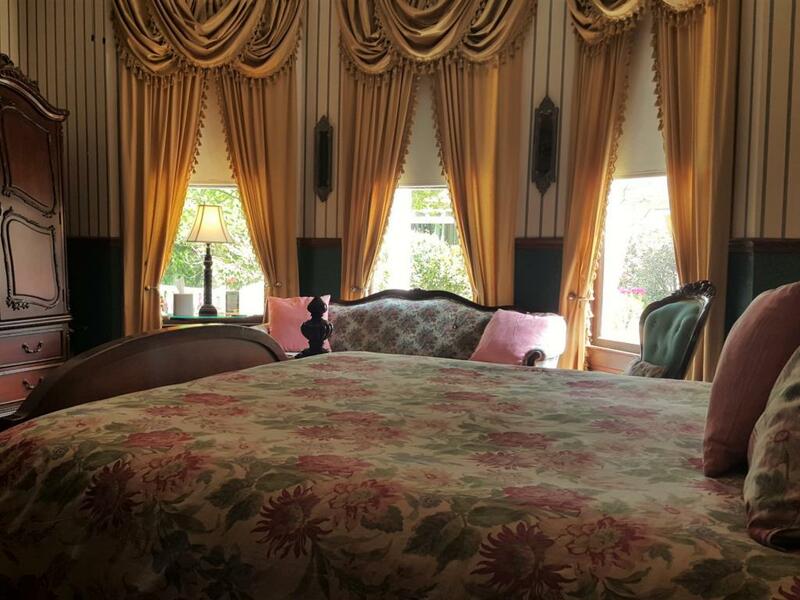 In room climate controls for central air and heat. 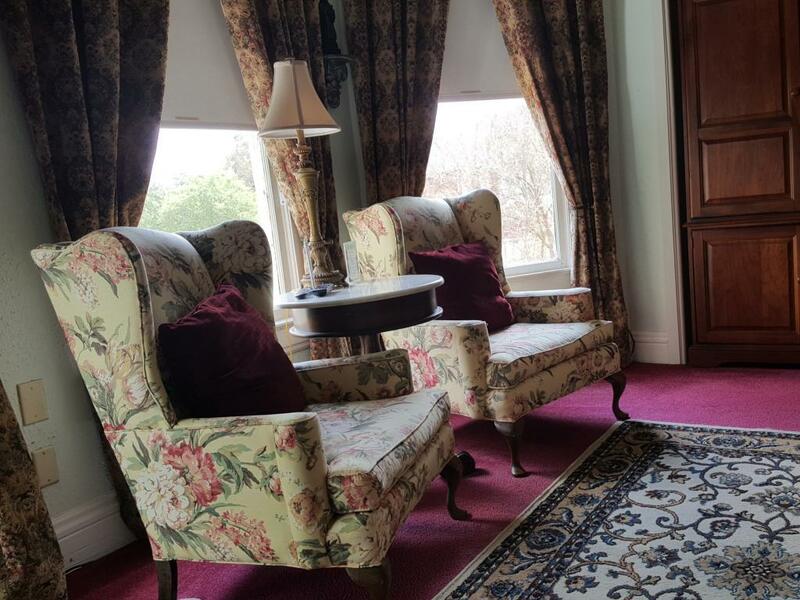 Complimentary Wi-Fi. 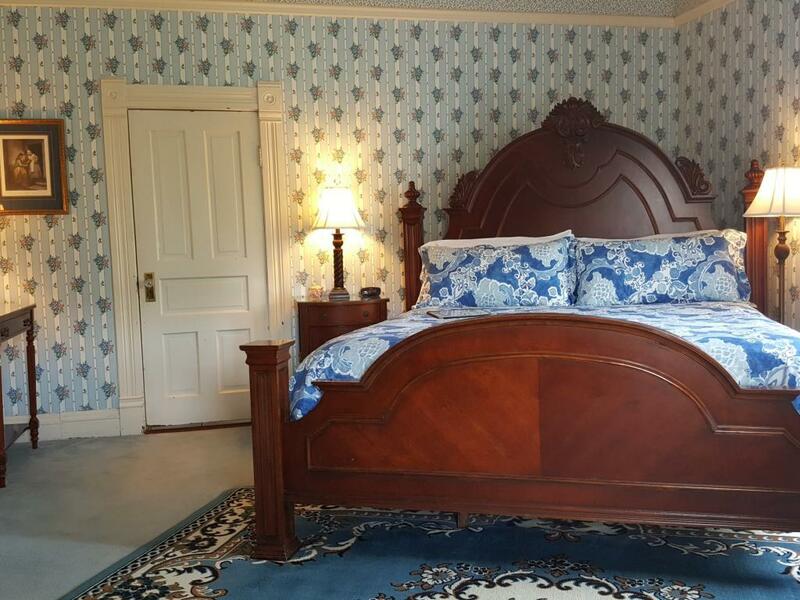 This room is papered in a blue floral wallpaper. 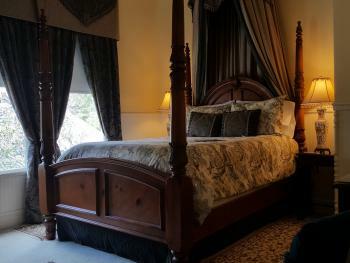 The room easily accommodates the four-poster king size bed. 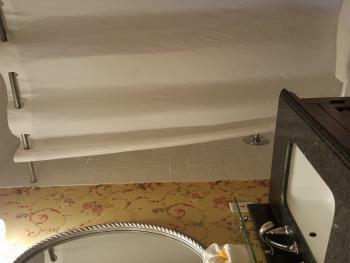 The bathroom is spacious, papered with a coordinate pattern. It has a two-person Jacuzzi tub with shower and double vanity. 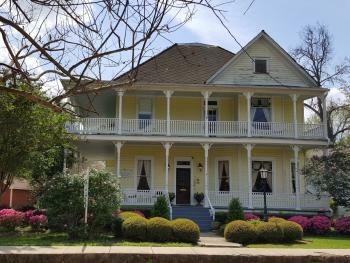 Big bay window with views of the historic district. 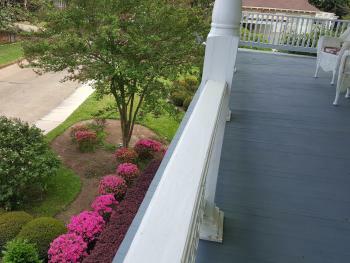 Easy access to wrap-around balcony with views of the gardens. 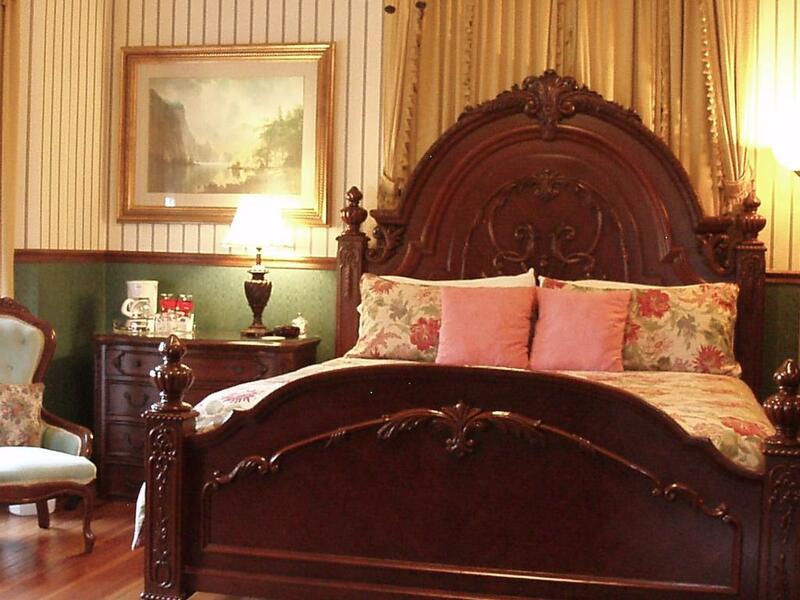 In-room climate controls and complimentary Wi-Fi. Massive king size four-poster bed, Queen Anne highboy armoire and matching bachelor's chest. 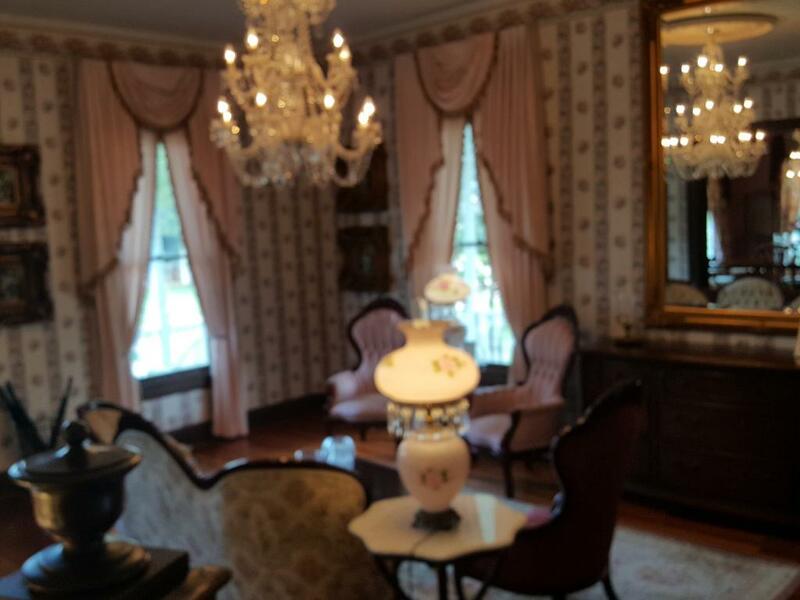 Beautiful custom drapes complete the décor. 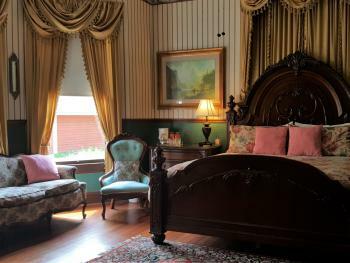 The room's romance flows into the private bath with it its single person Jacuzzi and Shower. Private entrance from room to second story balcony which overlooks the gazebo in the Garden. 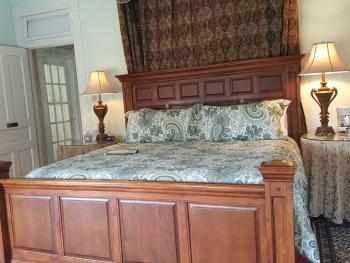 In room climate control for air/heat. 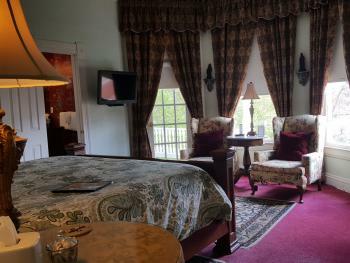 Complimentary Wi-Fi. 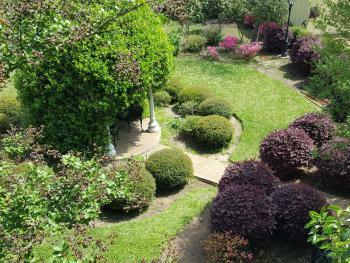 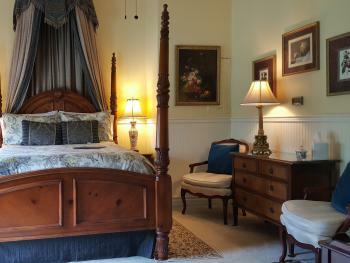 This light spacious room has a private entrance to the upper gallery which has view of the Garden and Gazebo. Furnished with a king size bed and two wingback chairs. 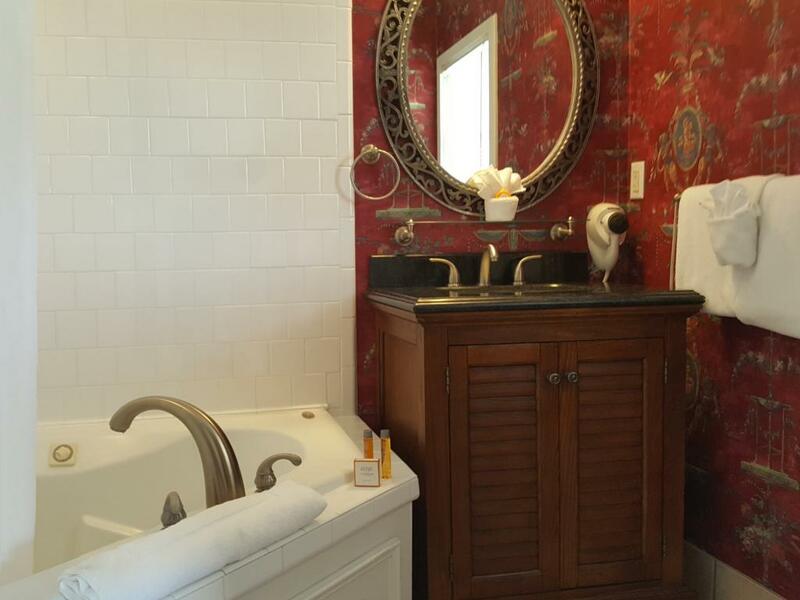 The private bath features a two-person Jacuzzi tub with shower. 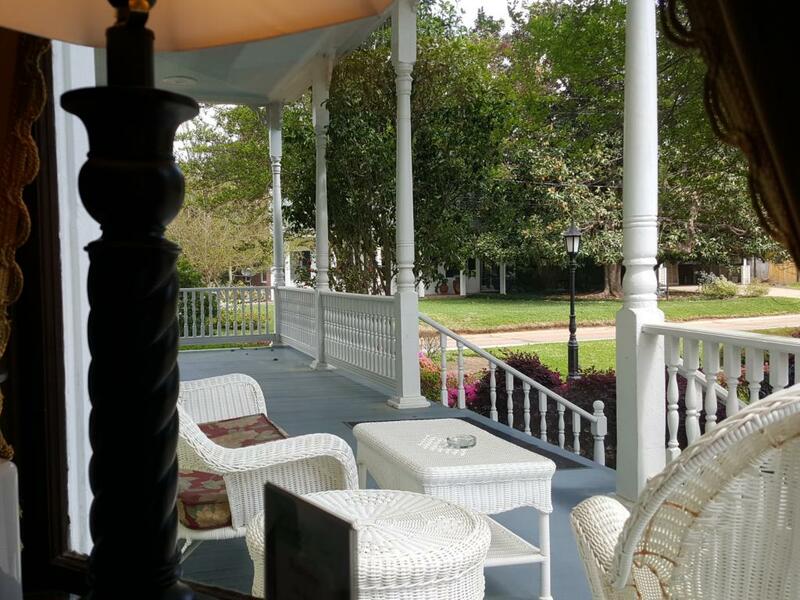 Private entrance from room to second story balcony which overlooks the gazebo in the garden. 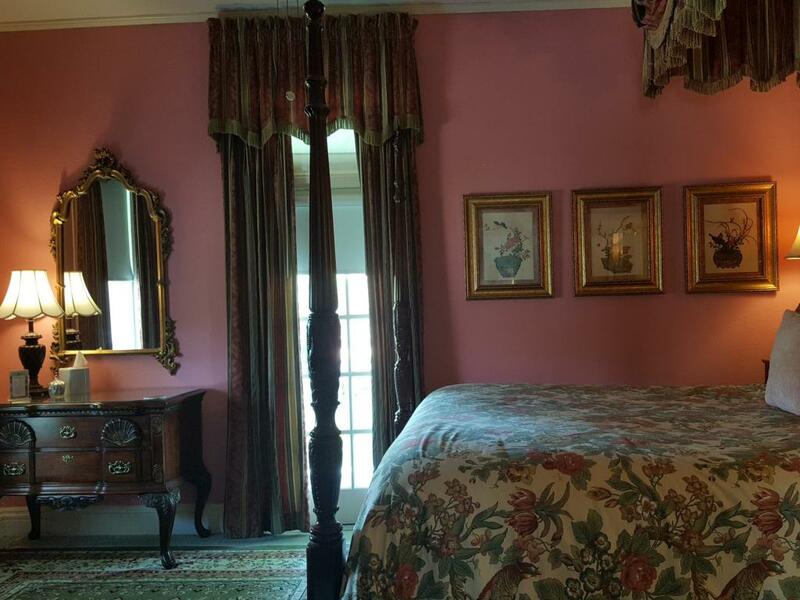 In room climate controls for central air/heat. 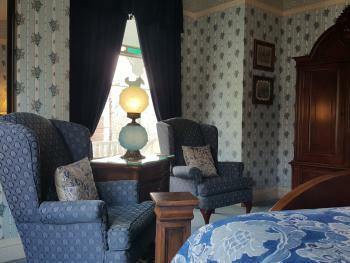 Complimentary Wi-Fi. 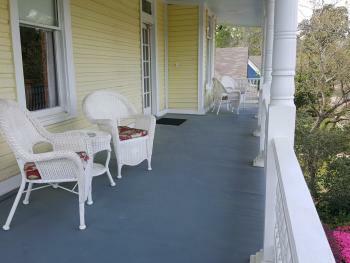 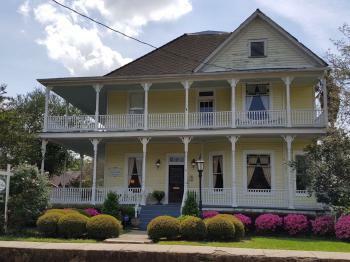 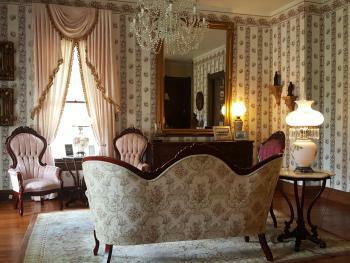 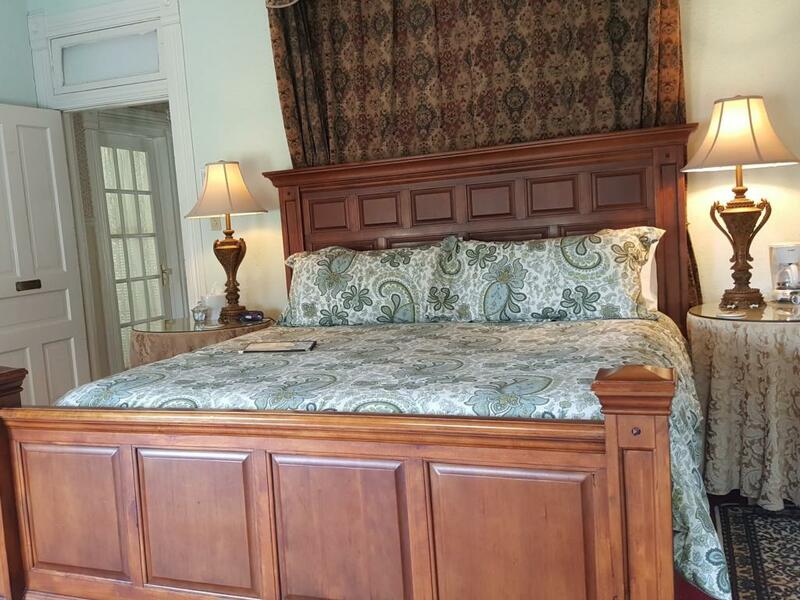 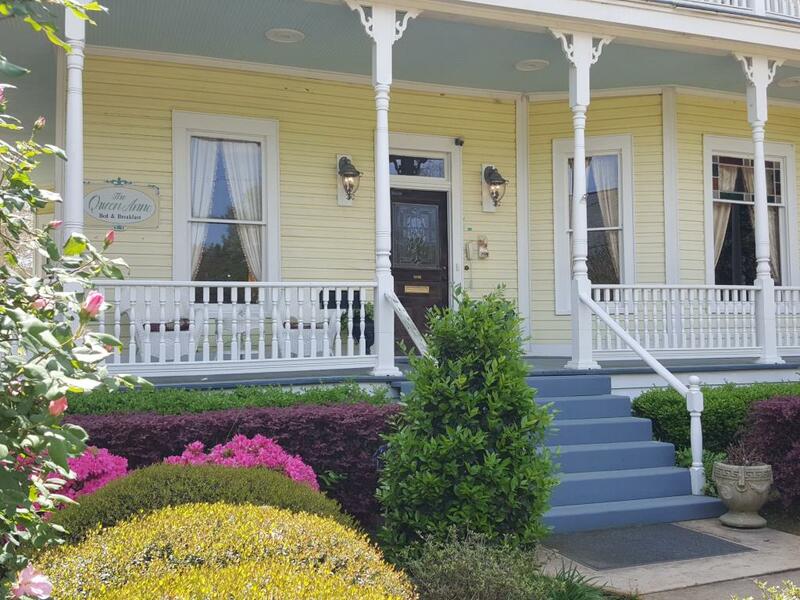 The Queen Anne Bed and Breakfast provides the finest personal service and facilities in the South. 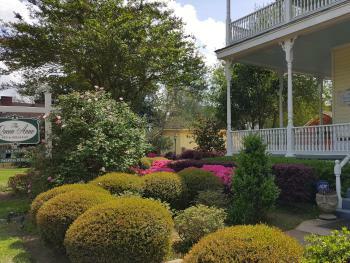 The atmosphere is warm and relaxed, and the ambience embraces the uniqueness of the local culture. The variety of services and activities will enable you to create your own memorable experience. 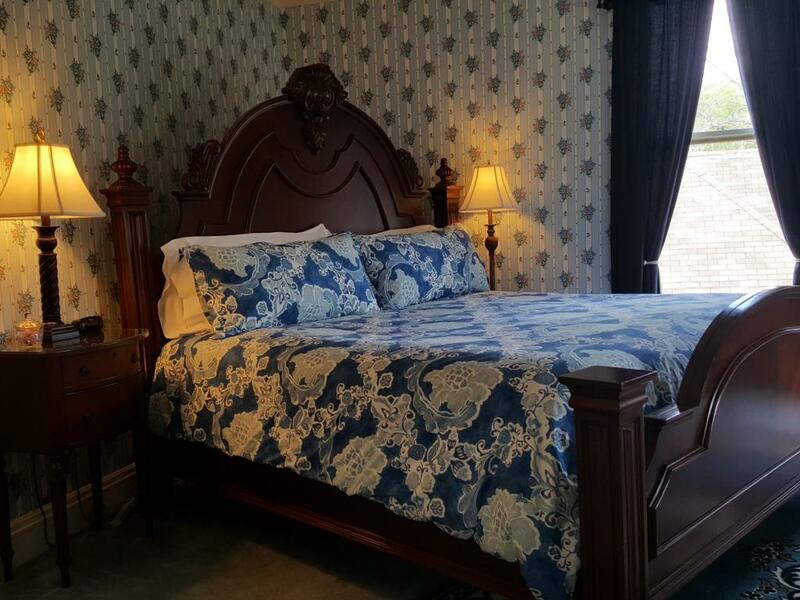 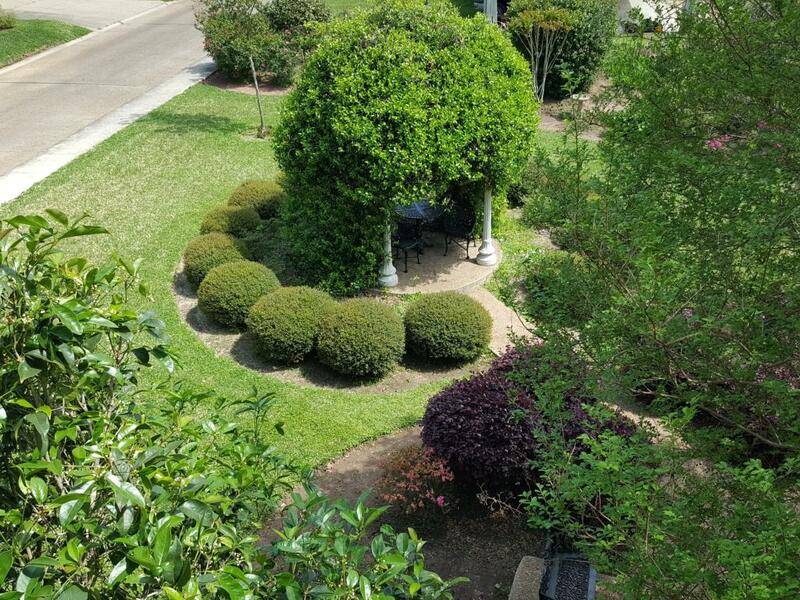 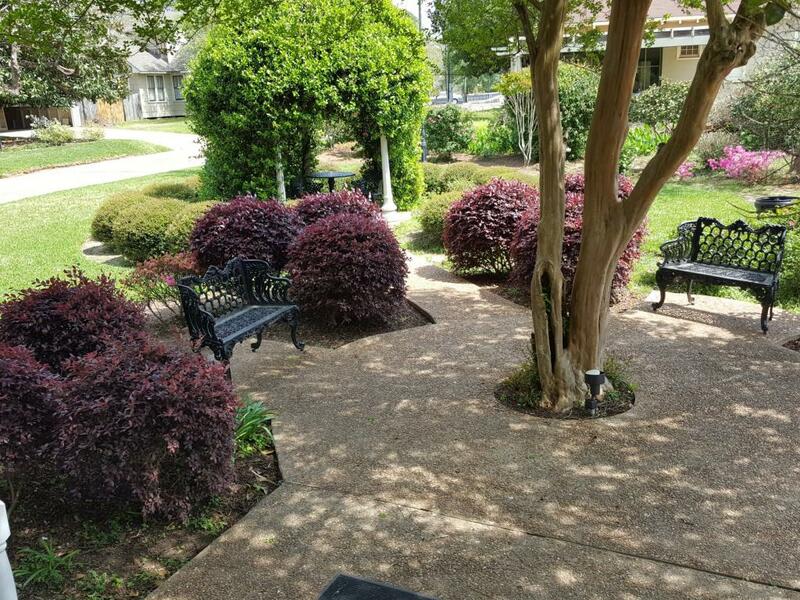 Discerning visitors to the charming city of Natchitoches, Louisiana stay at The Queen Anne, which is conveniently located in the historic heart of town. Over 100 years old, the Queen Anne continues to define elegance while offering an excellent location in this unique city, combining American history with French sophistication. 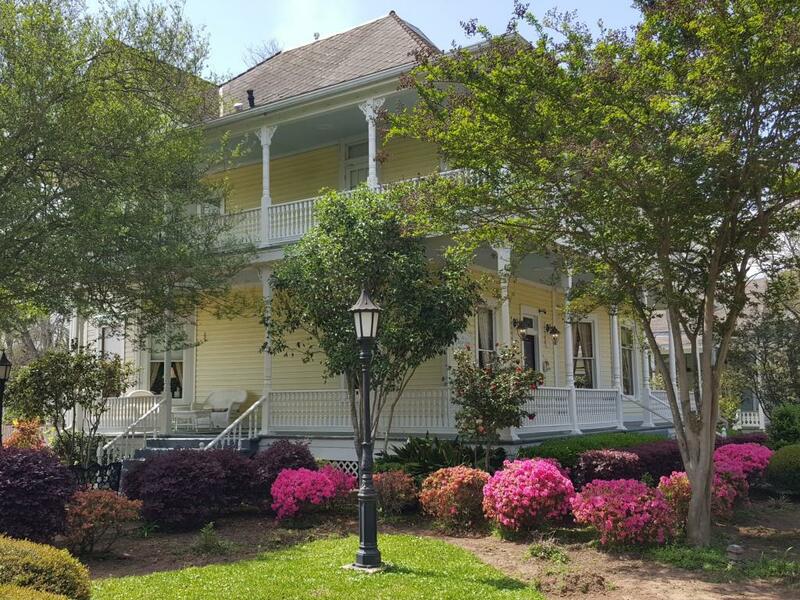 Historic Listed on the National Register of Historic Homes, the Queen Anne B&B is located on Victorian Row in the beautiful Historic Landmark District of Natchitoches. We are within easy walking distance to the downtown area with shopping, dining and sightseeing.